It’s acknowledged that training your puppy to walk on a leash is very essential, which is not only signed into law but can strengthen the relationship between you and your furry friend as well. Actually leash training is not as difficult as you think, if you take it step by step, walking your dog on a leash is no more a disaster. The first step is nothing about leash but that is the basic and most important part during training, which decide the right of control during walking. If your dog doesn’t follow your instruction, then you might be the one who is under walked. Choosing a cue. The cue could be your puppy’s name or some other sounds that can let your pet respond (including turn his face to you or walk to you). Don’t use some long words to be the cue, a clear and easy 2 syllable words would be the best choice. Start this training at home. Stand about 5m away from your dog and use the cue with clear voice. When your dog respond you, give your clever friend treat and encourage him. If your dog doesn’t reply you, don’t be sad, he might just be confused, you can use his favorite treats and toys to induce. 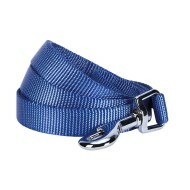 If your dog knows how to respond you cue, then it’s time to add leash on his collar. This step should also be trained at home as well, a familiar surrounding could make training easier. Time is very important, meal time or playtime would be a good choice for leash wearing, dogs will consider leash time as happy time directly. Do not pull the leash or try to lead your pet in this step. 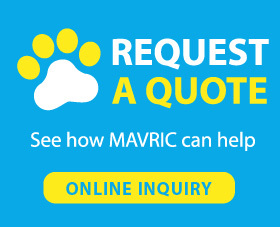 (How to choose a suitable leash for training? 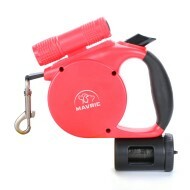 A training dog leash features chew proof material and soft handle will be the best choice. 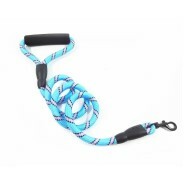 If your dog is not a strong puller, flat nylon leash is good as well. If you want to walk more comfortable, do choose leash with padded handle, which can reduce rope burns. Now it’s time to hold the leash for further training. Hold the leash and stay several steps away from your dog, call your dog, when he come to you, treat him. And then make the distance as longer as possible. Repeat this step until you dog can do this well. Congratulations! You are almost done! Put the leash on your dog and go for outdoor walking now. As outside world will have new sounds, smell and animals, your doggie will be very exciting when walking. But walking is a moment for relaxing, if your dog wants to explore, just follow him. But if he wants to eat dirt or jump on other people, use you cue to recall him. If your dog pull leash strongly, don’t pull it back, you just need to stay there and don’t move, your dog will quit pulling soon. •Since dogs could not focus on one thing for a long time, training should be around 15 minus each time, and you can do the same training several times each day. •Don’t feed your dog too much before training, the food cravings could make training easier.